Hello darlings! 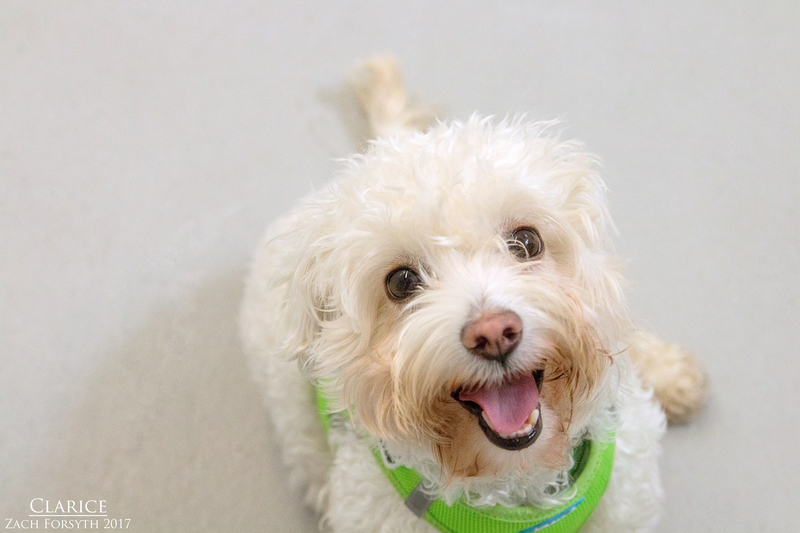 My name is Clarice and I am a sweet 2 year old Bichon mix weighing in at 12lbs. You might recognize the name from a very famous holiday movie about some reindeer games! Just like my movie counterpart, I am a sweet and sensitive doe who can be a little shy at first. But once I warm up to you, I am a snuggle and cuddle master! As you watch me open up, you can tell I am fun gal with lots of energy. In fact, I would love to romp around with a young male pup. He would be the Rudolph to my Clarice! Ha! Having another dog friend around sure helps build my confidence, as I have some great friends in playgroups here at Pixie. Since I can be a little sensitive, I would do best in a low traffic area in a quiet adult only owned home with no cats. I am just a lovely and beautiful lady who would love to have you as my sidekick. “There is always tomorrow, for dreams to come true.” So let’s start fulfilling those dreams together today! Fill out an application, so we can meet. I come to you spayed, vaccinated, and micro-chipped with an adoption fee of $350.